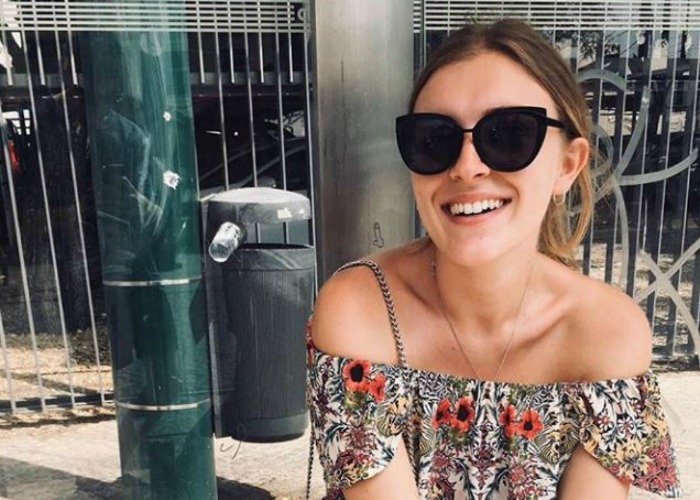 loveMONEY's Charlotte Irwin caught up with one of the few 20-somethings already setting money aside for retirement. Jessica Davis is a 23-years-old digital fashion journalist and has been living and working in London for just over a year. After starting her first job a year ago, she started to contribute around £50 per month into her company pension scheme. As only 31% of 20-29-year-olds contribute to a non-state pension, according to the Pensions Policy Institute, Jessica is a step ahead of many of her peers. But fresh to the workplace, and with a dream to travel to India front of mind, is retirement planning a genuine concern for someone in their 20s? Before signing up to your company scheme, was saving for your retirement something that you were thinking about? I didn’t think about it at all, which is really silly. But I felt like I knew nothing about it before I started my first proper job. It was definitely a case of ignoring it and thinking 'I'll worry about it when I really need to', but I wish I had researched the important stuff sooner. How much do you contribute to your work scheme per month? Each month I pay about £50 from my salary. I think this is a percentage as it changes each month – I’m not completely sure. I live with four other people and only two out of five of us pay into a pension. How much does your employer contribute to your pension? The company matches this which is great as, although I feel like I’m not personally adding that much, after a year of working at my job it has really added up. It is great for peace of mind to know that although things are tight at the moment, I’m doing something good financially for the future. I haven't really thought about that. I feel like I can't imagine actually doing it and not having anything to fill my time with. I would love to get to my mid-50s and have a complete career change and see work as more of a project. I always have ideas of running my own business. A cute little interiors shop or a fashion boutique would be really cool! What would the perfect retirement look like for you? I would love to get to that age and just enjoy life, be able to treat kids and grandkids to nice things, go on holiday and discover new places. Apart from your pension do you manage to save every month? I really try to save around 10% of my salary per month but this never happens! It depends if I have had an expensive month or whether I manage to earn any extra money from other bits on the side. If I earn a little extra I will save that for the month. Normally I can’t save anything so it’s a pay check to pay check kind of basis. What do you plan to spend your savings on in the future? I plan to hopefully earn a little more and be able to put away at least a couple of hundred a month for when I eventually want to move somewhere more homely, and not be in a house share anymore. I would love to save up for travelling to India one day, but I think I’d feel too guilty spending on something so big when I have no money! I spend most of my money on just living, so rent, bills and travelling to and from work. Then obviously food. Anything spare I have I will use on just having a nice time. As I hardly have that much spare once life has been paid for, I feel like I might as well spend it on what makes me happy like seeing friends and doing fun stuff, rather than just saving for a rainy day. I am always looking for cheap flights I can get, so have booked to go to Dublin and Stockholm next year. Both flights were less than a tenner each so that is my way of justifying having fun! Do you find pension information easy or difficult to understand? I find finance in general very difficult to understand and I often find myself in the situation where it’s kind of too late to do anything about things. I find it incredibly intimidating and going into a bank gives me huge anxiety. I feel like now I have been working for a year and use Monzo for everyday spending I feel more in control, but I do really struggle to save anything worthwhile. Does having enough money for retirement concern you? Having enough money in general concerns me. Sometimes I think I will never own a house or be able to live in London for as long as I want to because it’s so expensive. I have so many dreams and ideas, but it terrifies me that I will never be able to afford to do anything! I feel like this alone concerns me so much, that I have never even thought of retiring with enough.